With headlines dominated by late-night negotiations and veto threats surrounding last week’s omnibus spending bill, you’d be forgiven for overlooking the small portion of the bill that addressed servers’ tips. We missed it, too. But good news, everyone: The provision that would have allowed restaurant owners and managers to dip into servers’ tips was cut from the final version. The Washington Post reports eliminating this loophole represents a victory for workers, as well as a bipartisan clapback to the wildly unpopular Labor Department proposal. 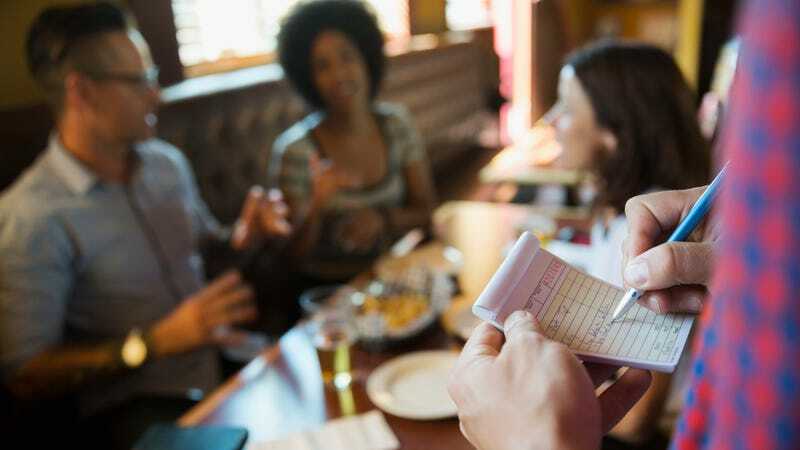 The proposal would have allowed employers to pocket servers’ tips as long as the employees were still paid minimum wage, but it faced enough opposition as to not make it into the final bill. There is a big change included in the spending bill, though: Employers can now, under some circumstances, share servers’ tips with back-of-house employees like dishwashers and cooks. “The idea is that the extra cash will help owners retain back-of-the-house employees and balance the income disparities between line cooks and dishwashers (often Latino) and servers and bartenders (frequently white),” The Washington Post states. The practice of “tipping out” back-of-the-house staff already happens, albeit in messier, less codified ways. When I was a server, I was frequently encouraged or explicitly told to tip out dishwashers or line cooks during a shift, which usually meant an under-the-table exchange of a few $20s at the end of the night. A more official system less subject to individual employees’ whims seems like it would make sure gratuities reach all the people who make the restaurant run. The language in the omnibus spending bill has been met with praise from restaurant employee organizations.